with our “Light Show on the Lake”. Thousands of twinkling lights and a fire pit for roasting marshmallows! 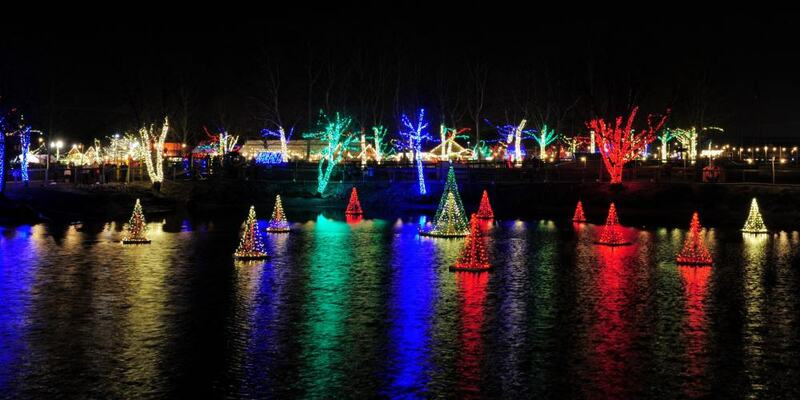 Our holiday weeknight package includes a Light Show Hayride, Admission to our Christmas Wonderland in the Discovery Barnyard and Animal Farm with our new Light Show on the Lake, S-more making at our campfire, and 3d Glasses for everyone. PLEASE CHECK OUR CALENDAR and FACEBOOK PAGES for today’s info!!! Thousands of Twinkling Lights to see..
We highly recommend that you Join our email list and become a fan on facebookto get seasonal updates and find out what is going on at the farm. Picking dates can change by as much as a week or 10 days from year to year. Our Farm News Emails allow us to keep our customers informed and up to date on the picking season.